The Dodo Juice Fin Cut pad design not only runs cooler and slings less, it allows for a more consistent cut across the whole face of the pad. A great step on from the ever popular &apos;waffle&apos; design. 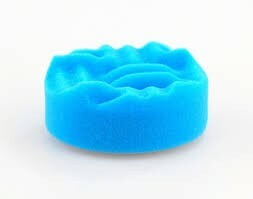 The Blue Fin is a light polishing pad with a little more cut than normal.